In Dragnet Nation, Julia Angwin of The Wall Street Journal reports from the front lines of America’s surveillance economy, a revelatory and unsettling look at how the government, private companies, and even criminals use technology to indiscriminately sweep up vast amounts of our personal data. In a world where we can be watched in our own homes, where we can no longer keep secrets, and where we can be impersonated, financially manipulated, or even placed in a police lineup, Angwin argues that the greatest long-term danger is that we start to internalize the surveillance and censor our words and thoughts, until we lose the very freedom that makes us unique individuals. Appalled at such a prospect, Angwin conducts a series of experiments to try to protect herself, ranging from quitting Google to carrying a “burner” phone, showing how difficult it is for an average citizen to resist the dragnets’ reach. Wall Street Journal senior technology editor and author of STEALING MYSPACE Julia Angwin’s TRACKED, investigative journalism on the importance of understanding and preserving electronic privacy in the age of social media and pervasive surveillance by marketing firms, retailers, credit monitors, government agencies, and snoops of all kinds, to Paul Golob at Times Books, at auction, by Todd Shuster at Zachary Shuster Harmsworth Literary Agency (NA). 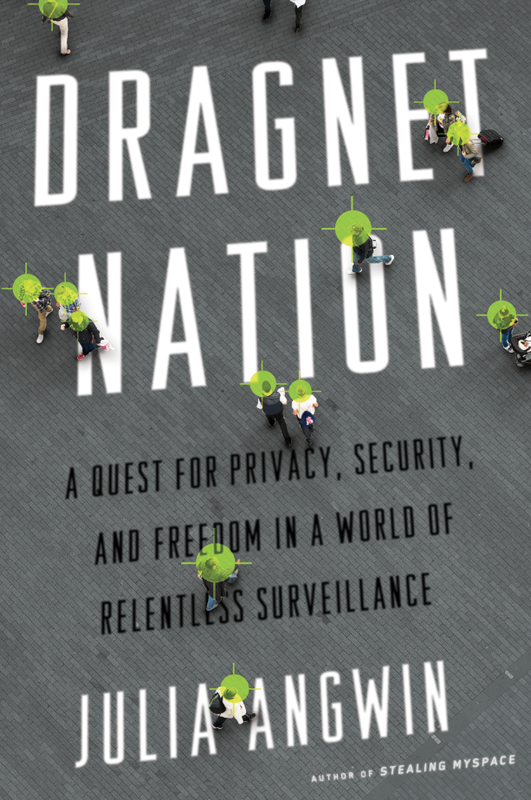 Update, December 2013: The title of my new book has since changed, to Dragnet Nation: A Quest for Privacy, Security, and Freedom in a World of Relentless Surveillance. It’s coming out in February and is available for pre-order now.